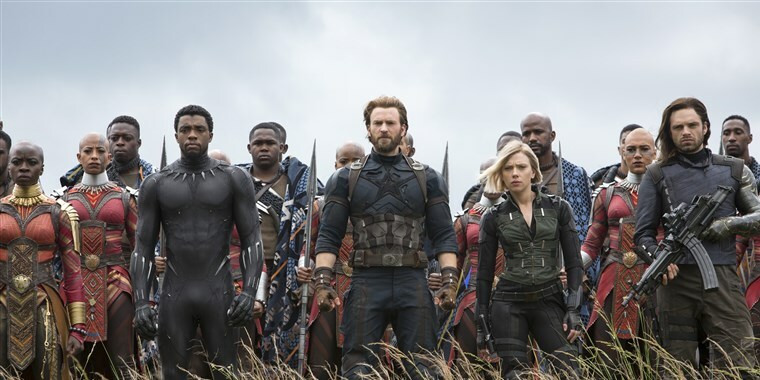 Avengers Infinity War opens this Friday…find out why you should see it before taking the kids. There are some significant differences between this movie and all the other Marvel movies. This review has no spoilers, so feel free to read freely…but you’ll want to see the movie this weekend to make sure you go in without knowing what’s going to happen. First, let me say I loved this movie. It’s so much better than Age of Ultron. The Avengers and their friends must be willing to sacrifice everything in an attempt to defeat the powerful Thanos before his spree of destruction and devastation that puts an end to the universe. 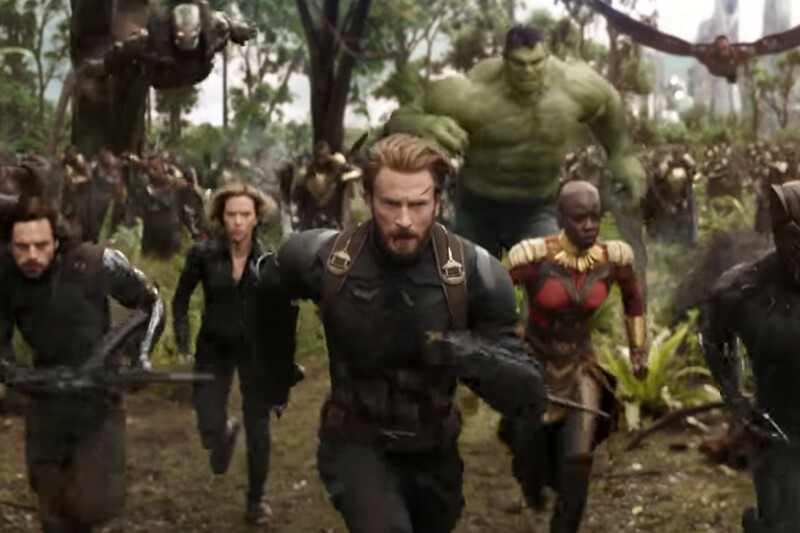 The movie bounces around from country to country and throughout the universe catching up with the lives of the Avengers only to see them end up fighting Thanos and his group in their own element. Avengers: Infinity War” picks up as the Avengers and their allies have continued to protect the world from threats too large for any one hero to handle, but a dangerous menace has emerged from the cosmic shadows: Thanos. A despot of intergalactic infamy, Thanos will stop at nothing to collect all six Infinity Stones in his quest to wield unimaginable power and his twisted will on all of humanity. Assembling a team that includes members from every Marvel Cinematic Universe franchise, the Avengers and their Super Hero allies must sacrifice like never before in an attempt to defeat the powerful Thanos before his blitz of devastation and ruin puts an end to the universe. 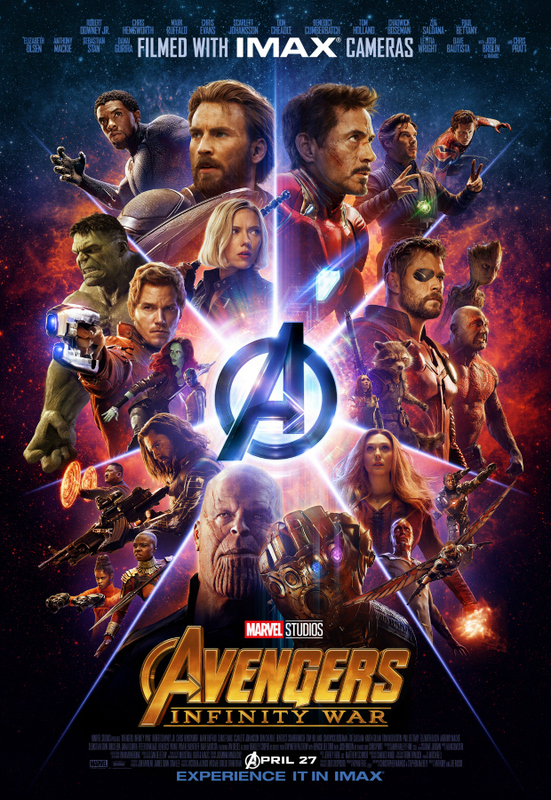 An unprecedented cinematic journey 10 years in the making with the entire Marvel Cinematic Universe in play, “Avengers: Infinity War” brings to the screen the ultimate, deadliest showdown of all time. Parents! The movie intense and starts off very dark. They waste no time jumping into the story and the opening scene in itself could be hard for young viewers. The foul language is pretty consistent in this movie as it was in the previous movies. There are no “adult scenes”, just some kissing and there was no “f” word, just a handful of other curse words. There are some jokes about male body parts. There is also an attempted suicide. The movie is powerful though as the underlying theme is about love and sacrifice. Many of the Avengers are put into situations where they must make an important choice in order to try to save the universe. Some of the choices are heartbreaking. And yeah….Marvel already established that there is death….so I’ll leave that right here on the table. Just be prepared for anything. What I love about Marvel is their way of bringing out all of our emotions. I laughed hard, cried hard, was terrified, on the edge of my seat and I’m sure there were some other feelings mixed in there as well. A few more thoughts, this movie is long. I mean really long. So make sure to go to the bathroom right before it starts and make sure your snacks are full. This movie with previews and time to the VERY end is almost 3 hours. And trust me…you want to stay until the very end. Don’t miss it. It’s important! Avengers: Infinity War opens nationwide Friday (4/27/18)!